Make Real Estate PERSONAL Again! So anyone who knows me, even just a little, knows that I am a huge believer in Social Media, and I’m a total tech nerd. I have so much technology in my car that I could land the space shuttle from it if I needed to. So this may come as a surprise to you when I say it…. Ready? STOP OVER RELYING ON TECHNOLOGY TO DO YOUR JOB! Yep, I just said that and I meant it. Let me explain. I jumped on the band wagon early on. Before Facebook was a big thing I was on there with a handful of friends. I had Foursquare when that was big and was the “Mayor” of any and every business I frequented, and, well, I hate to admit this but I was a MySpace master back in the early 2000’s. If it’s new and has anything to do with technology, I’ll probably buy into it. I spent $2400 on a GPS in car aftermarket navigation system in 1999 when people were still using Thomas Guides and the DVD/CD’s were out of date the day they arrived. I even bought the first Bluetooth headset before cellphones had Bluetooth in them and required a wired adapter and holster. So why the anti-tech blog post? It’s pretty simple. At this point everyone on the planet is using technology. Its not really that impressive anymore. Everyone has their version of the hottest and coolest tech and in the Real Estate business they all think it’s “revolutionary”, “modernizing”, and/or the answer to all of the woes of the average agent. “There’s an app for that” has gone to the furthest extreme. They even make an app now called Slydial that enables you to make sure you don’t have to talk to the person your calling and get their voicemail. Seriously?! What I see is missing more and more nowadays is the Personal Touch. When it’s someones birthday now, we wish them Happy Bday on Facebook or text message. I’m guilty of this too! It’s like we’ll do anything to avoid actually having a live two way conversation with people anymore. In this world of super impersonal and flippant interactions, I can’t help but to see a HUGE opportunity that will actually yield some pretty great results when it comes to business growth. Just think, in a world full of distant communication strategies, text messaging, instant messenger, emails, fancy CRM programs, etc. what do you think would happen to your business if you just picked up the phone and called to wish someone a happy birthday or just ask them how they are doing? What about the good old fashioned “pop-by” on the weekend? Or a kindly handwritten personal note? Think of the look on an expired listing homeowners face if you showed up to their door. Remember when we used to send a get well soon card to someone who was sick? Here’s a crazy one. Remember when we used to ask people “how have you been?” and we actually wanted to know how they’ve been? In this short post, I just simply want to maybe spark some thought about how overplayed technology is becoming. Yes, I’ll still use it and I’ll still leverage it’s benefits and I do see value in it so let’s not go overboard. But with every agent in the world buying into every new hot tech thing that’ll “transform their business”, I’d just propose that you may stand out in a really good way if you just picked up the phone, wrote a personal note, or stopped by someones house more often. One thing will never change no matter how many cool devices exist. People like to connect offline as much if not more than they do online, and relationships, trust, and confidence can all be built faster and better when we make that effort. And please don’t tell me that “millennials don’t want to communicate by phone or in person”. Baloney! Just because someone was born at a different time doesn’t mean that they are aliens from another planet. Despite their hot pink hair, or permanently implanted Beats headphones, they will still be impressed, likely even more impressed, when you go out of your way to treat them like human beings and just talk to them. And in this day and age, it’s almost becoming a “revolutionary” idea again to actually talk to people outside of text, email, and social media. What a crazy concept. Talking to people, writing notes, and just sitting down and actually listening to people is on the verge of becoming the greatest secret business strategy out there. So, in closing, feel free to call me a “revolutionary” for proposing these crazy ideas. 🙂 No need to abandon all of your technology, that’d be just stupid as there are a lot of good things that come out of it still. But take the crazy out of the box step to make things much more personal with your sphere of influence, past clients, and new prospects. It’s OK to like a post about someones kid who got honor roll, but imagine the impact when you call them to congratulate and esteem them for being great role models and parents. The APP everyone should have and use! This APP is by far one of my favorites! So many of us spend our days either heading to an appointment or waiting for someone to arrive to an appointment. I’ve finally realized that the periodic late arrival is inevitable no matter how much one plans out their day. I’ve heard it a million times from people “if they just would have called and said they were running behind, I would have understood”. One of the most frustrating scenarios is when your appointment shows up 10 minutes late without even making a call or sending an apologetic text. Then there’s the old “I’m 5 minutes away” text and either they have no concept of time, or they were stretching the truth. This APP solves the “I’m on my way” problem with some incredible technology. It’s called Glympse and it’s free! So there’s no reason not to at least try it. Click to visit the Glympse website! are traveling. You can set the amount of time that the link you sent will show your location, and when that time runs out, they can no longer see you. You can even input the destination and it will show your estimated time of arrival. Just imagine that you are on your way to a listing appointment and you send a Glympse to your client when you are on your way… Now they can know the exact moment you arrive! How about the good ole “I’ll let you know when I’m on my way”… Now just send them a Glympse and they can even check in to see how far away you are and eta. Running a few minutes behind because of traffic… Send a Glympse so they can see where you are and not have to ask you every few minutes. Most importantly, this APP can help you stay safe by letting those waiting for you that you are on the road and rather than text or call to ask you where you are, they can just tap the link and view you on the map. 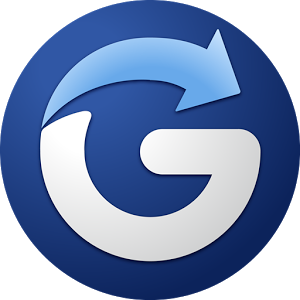 I’ve been using this APP more and more lately and almost everyone I’ve sent a Glypmse to have been very appreciative as well as impressed with the technology. I am confident that you will get the same results if you use this great tool. Spread the word and let’s get everyone using this great app and make all of our lives easier! As always, it is my pleasure to bring strategies and ideas to help you grow your business and become more efficient while providing great service to your clients! Having taught hundreds of Realtors how to use technology to dramatically improve the level of personal service to their customers while saving time, energy and money, I am always open to answering questions and sharing with those interested in collaborating. Please don’t hesitate to share any great APPS that you have found as well! This weeks update on the new Coldwell Banker Yorba Linda office! What an exciting week! I had the pleasure of attending our contractors and all department update at the new facility on Tuesday morning. From IT to the general contractor, everyone is confident that we have cleared the way for a September move in. As they say, “everything happens for a reason”, the few delays that we experienced ended up allowing for enough time to get the new fiber optic lines brought to the building, which will ensure we have the most up to date fastest internet speeds available in the area! Considering all of the great technology we are integrating into the office, this was a critical component to a successful launch. This meeting was also THE meeting where we decided on a lot of the technology and amenities for the office. I’m excited to have the opportunity to share some of this great stuff with you below! -5 Flat Screen Smart TV’s equipped with computers and Apple TV units for easy mirroring from iPads and iPhones. -Remotely controlled digital sales and listing boards. No more old fashioned dry erase boards. Simply email, Tweet, or, post from your smartphone and the sale or listing will be added to the board. -We decided to convert an area that was going to be some more desks into an Anti-Stress/Social Networking Loft area where associates can take a break and relax. 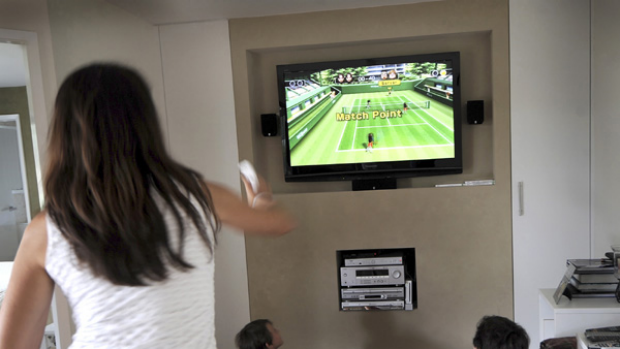 There will be Wii, Xbox, to play video tennis, golf, bowling, and even boxing, as well as other fun stress relieving games… Karaoke may even be heard from that area in the afternoons periodically! An Apple TV equipped with Netflix, Hulu, and iTunes will also be available! Of course there will be some good old fashioned board games… Checkers anyone? Our thought here was that this business can push the limits of our stress and this area will allow our associates to unplug when they need to and then easily go right back to their desk and jump back into the business! We also think this will be a great way to build and maintain the energy and camaraderie within the office. -Our large open sales meeting area will also double as a high tech multimedia room and theater, popcorn and all! We might just need to have a movie night once a month after a group prospecting session! -In Branch Marketing area staffed with our awesome Marketing Coordinator, Sara Araujo! Find materials, listing presentations, get flyers designed and created, ask questions, review your marketing strategies, place orders for farming, postcards, etc. etc. etc. all right there in the office! -7 days/week receptionist coverage. As they say “First impressions are everything!” Your clients will experience the absolute pinnacle of professionalism in North OC the second they walk through the front doors regardless of the day. Just imagine that not only will your clients be offered coffee or water, but they will be handed a professionally printed “Beverage Menu” that will offer 10+ different hot and cold beverages that will be brought to them by our staff member with a smile! Let the receptionist know before your clients arrive and she can even personalize the beverage menu with their names for that extra special personal touch! This office will represent the future of traditional real estate. Every aspect that you can think of will be a little different, an improvement on the existing business model. Associates can expect to hear a bell ring twice a day for the multiple 15 minute health walks around the huge shopping center where the topic of best real estate practices will be discussed and problems will be solved with the collaboration and passionate input of others. As the manager of the office, you will notice something very different with me too. There won’t be the traditional “managers office” that most are used to! I will be taking advantage of one of the spacious open desk areas. Of course, there will be a private area available for those meetings that require confidentiality. The “open door policy” that was so revered in the past, is no longer so revered. I love Real Estate Agents and I want to be out in IN the open and accessible to help and support productivity! 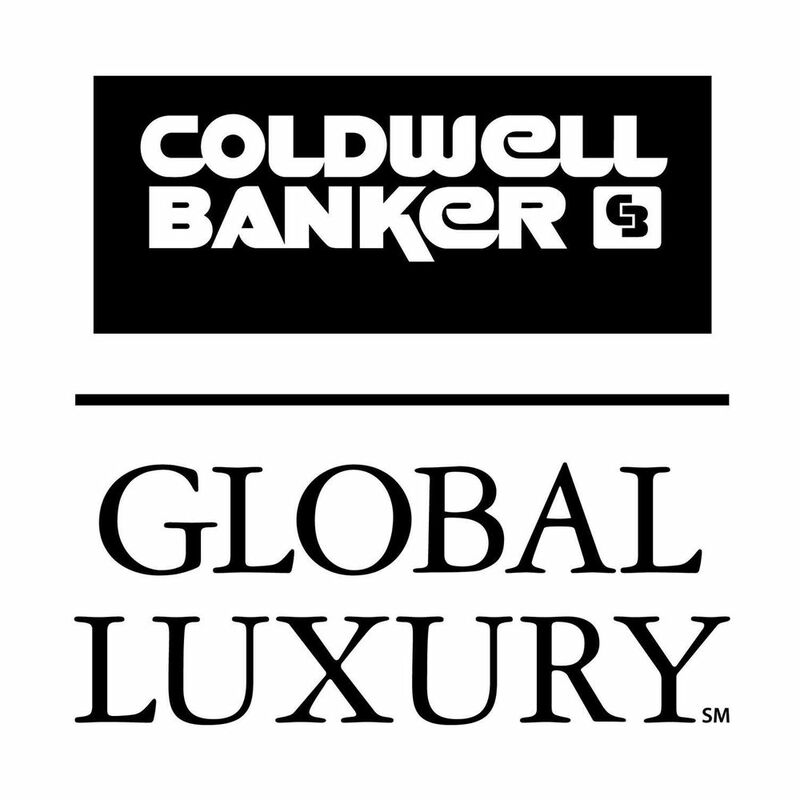 It is great to be with such a forward thinking and innovative firm like Coldwell Banker Residential Brokerage! It is the positive and supportive culture and incredible focus on Work-Life Balance this firm offers that really does create an environment for agents and employees to enjoy what they do and reach their full potential as professionals! Below I have included a link to my most recent update video as well as the recent Forbes article where Coldwell Banker was recognized for it’s focus on Work-Life Balance. You’ll see that we definitely have created something special with more great things to come! As always, if you are not already with Coldwell Banker, and would like more information, feel free to email or call me at Brad.Pearson@camoves.com or 714-782-2723. I hear it all the time… “I don’t care about Facebook, I don’t have time to write a blog, Twitter is a waste of time, Instagram is for kids, Social Media is a fad, Social Media isn’t my thing, I’m too busy to do Facebook, I can’t figure it out, etc. etc.” I even hear from agents interviewing with me, that some of my competitors are adamant that they not only do not “do social media” but that they don’t “believe in it” and in some cases they even elaborate extensively on their reasons why. In this blog post, I want to address the whole social media allergy that appears to exist in the Real Estate business in hopes to bring some common sense to the importance and necessity of this incredibly powerful medium. First and foremost, I want to make the most direct and impossible to argue with statement with regard to the reason to utilize social media in your business….. It has NOTHING to do what you think, feel, or believe about it… It simply and only matters what your CLIENTS think about it. I hope that makes sense. My simple point is that whether you are using social media or not, the first thing that you must accept is that your clients ARE. The decision NOT to participate in the social media revolution is the same as deciding that you do not wish to be where your clients are. It takes an immense amount of either ignorance or arrogance to believe that you can grow a business efficiently without the use of social media nowadays. 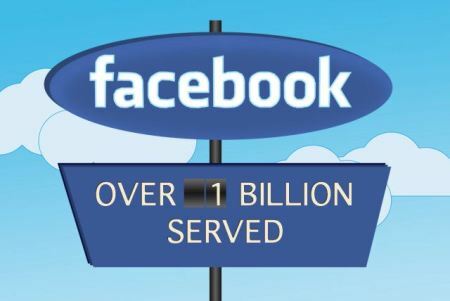 It only takes a minute to Google “social media stats” to figure out that the quickest and most efficiently effective way to connect with large amounts of people at a very low or NO cost, is via the many different social media sites. Whether we like it or not, if we want to be “relevant” to a large segment of our own customer base we need to be where they are. Especially in the Real Estate business! So, here’s the breakdown of my heading to this post and why I’m such a believer… Only 350 subscribers to this blog, the blog auto posts to over 1000 of my LinkedIn members, and to 150+ twitter followers, Google+, my 1000+ Facebook friends, I have two business Facebook pages that I can repost this to and share with up to another 2100+ people, then I can choose to “Boost” the post and specifically target thousands more people by location and/or interests. So at a bare minimum, if I do nothing but simply hit “Publish” I’m connecting to several thousand people in my sphere of influence and beyond. By writing one post per week on average, I’m staying top of mind to a lot of people on a very consistent basis with solid content, information, updates, ideas, news, etc. And it doesn’t cost me a dime! As a cool bonus, I can even track my visits, views, and overall traffic to this post so I know how many people took the time to read it. I can also see where they came from, i.e. email, facebook, twitter, google, etc. and what geographic area their IP address is where they accessed the blog. Oh, and I can also see if they clicked via a computer or a mobile device! Click to download 80/20 business plan! With all of that said, I don’t want anyone to read this and think that they should run out and spend all of their time on Facebook and Twitter. As I describe in my business plan(available at http://www.BradPearsonOnline.com), I believe that a healthy business should have a solid plan that consists of 80% of business development strategies to be conducted OFFLINE, and 20% to be geared towards a solid and consistent ONLINE strategy. The better the online strategy, the more effective your offline strategy will be. 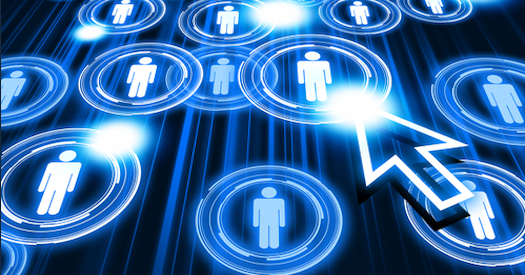 -Connect with your entire Sphere of Influence and Past Client list on Facebook and Twitter. Actively interact with them and their posts. Post relevant, fun, interesting posts, and always present the best “YOU” online. Not too personal, but not too much business either. Use common sense. You can learn so much about your sphere on social media just by paying a little attention. Nothings better than already knowing so much about your friends and clients and having a warm opening the next time you meet offline! -Connect on LinkedIn with all of your clients, past clients, prospects, SOI, etc. This is a great place to share each others businesses and support those who support you. -Gain followers on Twitter by first following those with similar interests, those you know, meet, etc. -Create a blog on Real Estate and invite all of your clients, past clients, prospects, SOI, etc. to subscribe. Then take 30 minutes per week to write an informative post on the market, and other topics related to Real Estate. Promote your blog on other Social Media as well as all offline marketing. -Create a YouTube channel and post videos on Real Estate, your listings, marketing, etc. and promote on all other media offline and online. -Create an Instagram account and post fun pictures of your Real Estate activities, your marketing, listings, etc. Connect with other social media so posts go elsewhere. Add the Instagram logo to your marketing with the others. Look connected and cool at the same time! Very simply, combine everything you do offline to an online version! Always be thinking about how you can combine one with the other! In the end, I challenge you to set some time aside and implement a solid online social media strategy to dramatically enhance your business, stay connected with your customers, gain knowledge, and share knowledge! As always, I am here to help you grow your business regardless of company affiliation by sharing posts like this, other social media sites where I post, as well as offline in a free coaching meeting upon request. 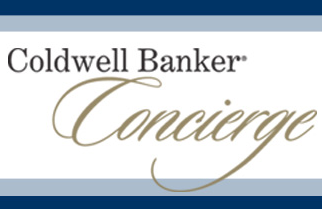 If you would like more information about affiliating with Coldwell Banker Residential Brokerage, feel free to call/text or email me for a confidential appointment at Brad.Pearson@camoves.com or cell 714-782-2723. Thanks for following my blog! Check out the video below for some fun info on the power of social media and the internet! At least once a week I find myself in a conversation with a real estate agent who shares with me their frustration with being able to stay in front of their database, grow their database, and bring value to their database on a consistent basis that will yield a return in quantifiable repeat and referral business. I find myself sharing all kinds of ideas with them that all require them to be a very active part of the contacting process. From mailing out note cards, newsletters, and making phone calls, to the horribly ineffective old fashioned email campaigns, it just seems like the challenge will never go away. The constant pursuit of something easier, some magical program, seems to be the mission. Yet within minutes of our discussions on this topic, we all find ourselves checking in on Facebook, commenting on posts, and looking to see what everyone is up to, etc. This got me to thinking and being an avid Facebook Group user and member of many different groups, and seeing others using Facebook Groups fairly effectively for many different reasons, I felt it was worth sharing some ideas on how agents could use this free feature to build, manage, and stay in close touch with their database as well as build captured audiences around them by being the creator and moderator of a their own Facebook Groups. Let’s first define Facebook Groups… Definition according to Webopedia: Facebook Groups are pages that you create within the Facebook social networking site that are based around a real-life interest or group or to declare an affiliation or association with people and things. With a Facebook Group, you are creating a community of people and friends to promote, share and discuss relevant topics. The definition alone should spark some thought and ideas. One of the greatest benefits of the internet is the ability to collaborate with others on subjects and topics that you share in common. I belong to several Facebook Groups on Real Estate, my community, my hobbies, politics, and business. I visit these groups constantly and have my notifications set to alert me to new posts by other members. When a post of interest is made, I can simply go to the group and read it, like it, and comment. Often times, there are spirited debates that take place in these groups, difference of opinions, etc. but overall, if we are in the group together, we share a common interest. The groups are very interactive and incredibly collaborative in nature. In one real example, I was reading a post on a group I’m in about quadcopters/drones, and was able to avoid a huge and expensive mistake that I was literally about to make that would have destroyed my motors on my drone. Situations like this and others happen every day on these kinds of groups. The power of collaboration amongst like minded people with similar interests is immense. So, as a real estate agent, whom everyone is your potential client, it only makes perfect sense to not only join Facebook groups that meet your interest, local groups that bring you closer to your community, but it makes perfect sense for you to start your own groups! And frankly the more the better in my opinion. Let me share some ideas, but feel free to explore your own creativity to discover great ways of using these groups. -Neighborhood group! Farm or live in a particular tract or community? Start a group for that community for all of the neighbors to stay in touch, share local information, collaborate, discuss neighborhood watch topics, yard sale announcements, etc. etc. Offer to manage a group for the local homeowners association even. This is a no brainer for real estate agents since we are always deeply involved in our communities and neighborhoods. Simply start the group and notify the neighborhood with visits, mailers, calls, etc. and before you know it you will have a few hundred people involved and loving YOU for creating it! -Past Client & SOI business networking group! Create a group where all of your past clients and sphere of influence can connect and network their businesses. -Local Business networking group! Create and invite all of the local business owners to connect with each other on this group and share ideas on growth and the local business climate and opportunities. -Real Estate Information group! Create a local group just for real estate information to those interested in the area. -Local hobbies, interests, sports, groups! Coach a local little league team? Start a group where games can be announced, posted, pictures can be shared, etc. Love fishing? How about a local fishing hot spot group for all of the nearby lakes in the city? Poker, bunco, etc. groups where games are announced. Local Golf group where information on the local golf courses can be shared, pictures, special prices, golf tips, videos, etc. Cycling group. Arrange group rides and share safety tips. -Best Friends group! How about just starting a group for all of your friends so you can all stay in touch and share with each other. -Family Group! Create a group for all of your close and distant relatives and reconnect everyone with each other. 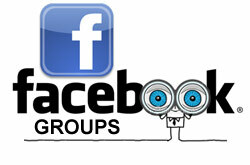 This group will collectively refer business to you so stay in front of them while bringing them all closer together. -Charity Group! Create a group to support the local charities, or the cause that interests you the most. Love helping animals? Connect with others who are passionate about helping animals! -Health and Fitness/Dieting group! Create a local group for people in the community that are focused on getting and staying healthy. Support people who have weight loss goals. I can go on and on with ideas! There are no limitations on topics that will interest people. And if you are the person bringing this to them, then you end up with a captive private audience to promote yourself to subtly on a consistent basis while bringing something of value that they use daily. As you’ve no doubt heard me say before, we as real estate agents need to give first, and be on a mission to help our communities and clients. Because none of us are completely defined by our jobs, it is important that we stretch beyond just the topic of real estate and work to connect and bring our communities together. A simple Facebook Group can help do that, and ultimately make you the real estate agent of choice amongst the group members! As always, I am here to help you grow your business regardless of company affiliation which is why I write this blog. With that said, I am always looking to add more great agents to our firm and office, so don’t hesitate to give me a call or text at 714-782-2723 or email at Brad.Pearson@camoves.com if you would like to discuss the opportunities at Coldwell Banker Residential Brokerage! Now go create your groups! There was a time when some of us tech geeks would fantasize about the future of technology in real estate and try to figure out what the next big thing would be. I got my license in 1992 right as Windows 3.1 was finding it’s way into real estate offices. The MLS was a DOS based system and Word Perfect was still on many computers that we printed to our dot matrix printers with the paper with the holes we had to tear off the sides after printing, and there was no such thing as WIFI or high speed internet and we were all on dial up. Oh and we all carried pagers and cell phones were few and far between, not to mention enormous. Yes, I’m dating myself, but I am fortunate to have started in real estate when I did. In 1992, MLS books were disappearing and the world was changing despite a full blown recession had started. I was sitting in a real estate office listening to agents complain about the things that were going away, and expressing frustration with the new technologies that were showing up. For me, being a budding 22 year old tech geek, I was in heaven! I spent $3000 on my moms credit card at Circuit City with the promise to pay back when I “closed a sale”, on a giant 100mhz Windows computer that couldn’t even fit in the trunk of my car. As I hauled all of the big boxes into my office, I had agents looking at me like I lost my mind. Some asked, “why would you buy that and not just use the office computers?”, and my response was, “because I want my computer to do more!”, then they asked “More what?”, and that’s where I said, I’ll let you know when I figure that out!” I share all of this because we are and have been in a period of time where the world has changed so much technologically that if someone told us that we would have a device that fits in our hand that is hundreds of times more powerful than the huge computers we used to use in the 80’s and even 90’s we would laugh at them. Now we have the ability to do so much from anywhere on a small device that fits in our hands, yet there is still a large part of the real estate industry that hasn’t embraced the technology, leaving opportunity for those who do to outperform them with efficiency and service to their customers! Just like in 1992, things are changing all around us and those who jump on the hottest tech early will be light years ahead of the rest competitively while providing their clients a higher level of service. 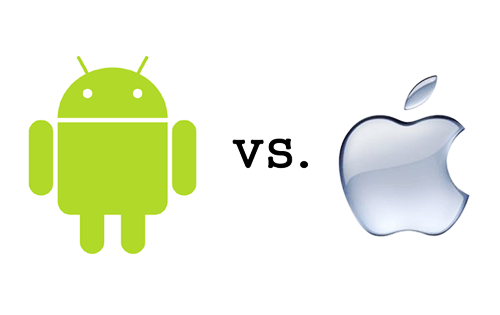 First let me get the Android vs. IOS/iPhone/iPad debate out of the way. In real estate, IOS is the only way to go… Period. Why? Simplicity and features! 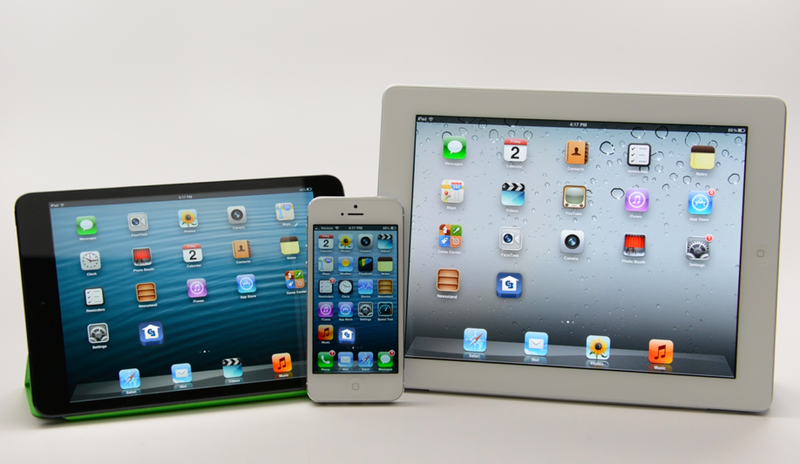 While I carry an iPhone/iPad and a Samsung Galaxy Note 3, I rely mostly on my IOS devices for daily use in real estate. To break it down and end the argument, try to seamlessly open a contract from Zipforms Mobile to a signing App, sign, and email to a client. On Android you will be there forever emailing to yourself, or trying to use the native Digital Ink program and give up frustrated, on the iPhone or iPad you can do it seamlessly with the “Open In” function and be done in literally seconds. Try creating and presenting a Powerpoint or Keynote presentation on an Android device… First you need to find the right app amongst many that will do what you need it to do. On the iPad/iPhone you can use the Keynote app and create or play Powerpoint or Keynote, and even export as PDF to share the slides with anyone. I can go on and on. It is my hope that at some point these issues are simplified on the Android OS for us as I do love so many things about my Note 3, but for now, the iPhone/iPad wins for real estate. Now let’s get down to the iPhone/iPad apps that you should have if you are in the real estate business. And while I know there are many more than what I’m listing below, I want to just give you a solid starting point. 1. Sign n Send = There are many signing apps, but this one is the easiest and most versatile in my opinion. But I’m open minded so if you found one that you think is better, then please share! 2. Keynote = This app will allow you to create, edit, play, and present both Powerpoint and Keynote presentations. Built-in templates, easily share a presentation via Apple TV or VGA Cable to TV with adapter, and send out a copy right from the app in PPT, Keynote, or PDF format. Very easy to use. 3. iMovie = Create videos on the fly with music, transitions, etc. You can use built-in themes and even make movie trailers if you so choose. Upload directly to your YouTube channel and promote your listings or information in seconds and look good doing it. 4. PDF Splicer = This app will allow you to combine, sort, re-order, your PDF files, documents, etc. This comes in handy when you have a lot of contracts to get signed and don’t want to keep having to go back to Zipforms over and over. Just prepare before the appointment and have one easy file to open and sign in Sign n Send. 5. Scan To PDF = This app will allow you to scan documents using your iPhone/iPad’s camera function and send via email as a clear PDF file. This is great for online transaction management platforms where you can just scan and email documents right into the system. Easily send signed copies to your TC, co-op agent, and client and forget about the old fax machine or complicated scanner at the office. 6. Dropbox = Move all of your important files to your Dropbox on your computer and have them anywhere you go on your iPhone/iPad. Share public links with people, create shared folders, upload photos from your phone to the Dropbox and have them accessible on all of your devices or any computer. 7. Penultimate – Evernote = Take notes on your listings, in meetings, etc. Treat it like paper. Use your finger or a cheap stylus and have your notes automatically on every device. Start a new file for each listing and actually have a conversation log that can help you in the future in the event of a dispute or legal challenge. 8. iBooks = This native app is perfect for keeping important and often used PDF documents at your fingertips. Have your PDF listing presentation here to be able to review and then easily email to a prospect. Keep copies of your marketing materials, post cards, property flyers, real estate license, scripts, business plan, testimonial letters, and anything that you may need to refer back to or share quickly with someone in person or via email. 9. Pages = This app enables you to create beautiful flyers on the go for almost any situation. There’s even real estate listing templates preloaded! Thanks for thinking of us real estate folk Apple! Create your letterhead, compose letters, open in Sign n Send, sign, and email out without ever printing to paper. There’s so many possibilities with this app and it’s so easy to use. 10. Title company apps = I would suggest that you talk to your title rep and ask them if they have an app. Most of the large title companies have phenomenal apps that enable you to do many great tasks including pull/order property profile information directly from the app enabling you to provide your clients with accurate data on the fly. Bonus app recommendations = Google Earth, Google Voice & YouTube. 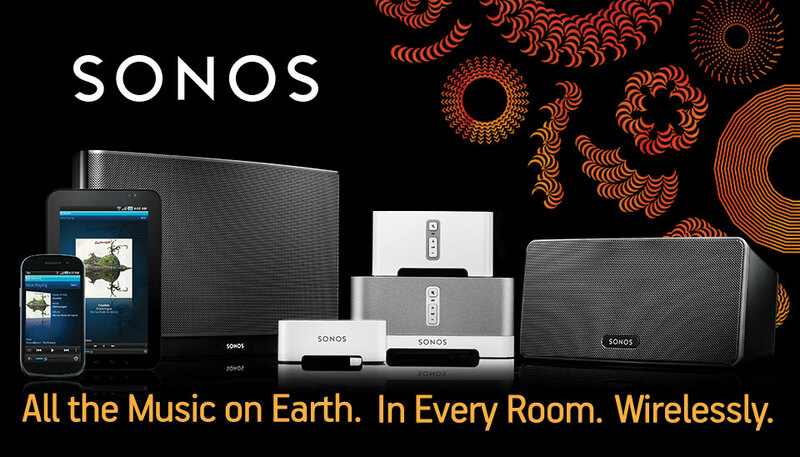 These great products work perfectly on the iPad/iPhone via the apps. Check them out and you’ll see immediately how they can help you gather information, showcase information, and connect better with your clients. In closing, if you’ve seen my presentation on these tools, then you know that I tout these as the way to provide a more personal level of service to your clients. While many see technology as an attempt to depersonalize our business, I see it completely differently. Using tools like Skype enables us to be face to face with distant clientele, Google Voice offers the ability to have a personal voice mail greeting for each and every person in your address book, going paperless and being mobile makes you more efficient so you can spend more time working to seller your clients home or find them a home rather than standing in front of a copier or fax machine fixing paper jams, using your tablet or smartphone to provide factual accurate data rather than just opinion can help your clients make huge personal life decisions based on solid information/data…. And lastly, realizing that our clients would rather spend more time with their friends and families and less time with their real estate agent, sharing this technology with your clients will enable you to get more done in less time with them, enabling them to have more free time to do what they want, rather than what we want/need. As always, I’m here to help you grow your business! 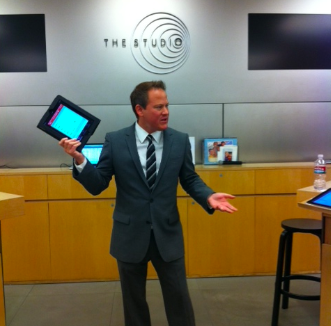 Having been a guest speaker at the local Apple retail store to Realtors on using the iPad in their business, and personally using the iPad and iPhone as my primary daily business devices, I can also help you learn and use the most cutting edge tools available to us. I am constantly staying on the cutting edge of any technology that I see as being useful in our business and can help you decide where to spend your hard earned money when you begin the search fora device or look to upgrade/update what you are currently using. Jamie DuranSo true! Spot on! Myriam SolanoDear Brad, Thanks for sharing your great ideas! Hugs from Solanos. Marla HigginsAmen! Technology makes a much better slave than a master. Marla HigginsAmen! Technology makes a much better slave then a master.